....cleansing is the number one step to restore your health. You want me to do what?!!! YES! You are going to cleanse and it is stinky and doesn't always feel good, but when you are done...you will be so glad all that garbage is out of your system. We are planning to add photo's of what this stuff looks like, but even WE can't stand how it looks. Now don't make me do it and have to use gross out techniques to get the point across that you need to cleanse. Don't Be a tough, just clean out your body and get it over with. feeds, and is sheltered on or in a different organism while contributing nothing to the survival of its host." body, including the liver, lungs, muscles, joints, skin, blood, and even the brain. vegetables, travel to third-world countries, contaminated water, mosquitoes and pets. Please note that although these symptoms can signal the presence of parasites, they can also be signs of other illnesses. - They weaken the immune system, making us more vulnerable to infections. - They feed on the most nutritious part of our diet and vitamins. -They produce toxic waste products which our bodies absorb. - They destroy cells faster than the body can reproduce them, leading to an imbalance. - They can perforate and damage the intestinal lining. - They may cause obstruction, especially in the intestine and pancreatic bile ducts. Adult worms (1) live in the lumen of the small intestine. A female may produce approximately 200,000 eggs per day, which are passed with the feces (2) . Unfertilized eggs may be ingested but are not infective. Fertile eggs embryonate and become infective after 18 days to several weeks (3), depending on the environmental conditions (optimum: moist, warm, shaded soil). After infective eggs are swallowed (4) , the larvae hatch (5), invade the intestinal mucosa, and are carried via the portal, then systemic circulation to the lungs (6). The larvae mature further in the lungs (10 to 14 days), penetrate the alveolar walls, ascend the bronchial tree to the throat, and are swallowed (7). Upon reaching the small intestine, they develop into adult worms (1). Between 2 and 3 months are required from ingestion of the infective eggs to oviposition by the adult female. Adult worms can live 1 to 2 years. Excerpts from text book The New Optimum Nutrition Bible by Patrick Holford. on a daily basis. This is a listing of some of the symptoms that may be associated with candida. Common fungus that we see on nail beds is an internal issue as much as it is an external. This is why once you treat it topically it will more than likely return. and good ole Oil of Cajeput will kill topically. Apply externally to kill fungus and infection. 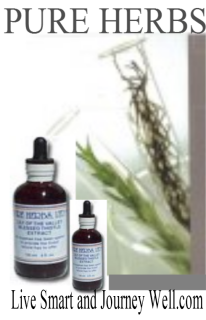 Bites, insects, parasites, poisoning, allergies, pain, sprains and aches, serious injury, colds, cough and flu, stopped up nose, antiseptic, canker sores, cold sores, expel mucus, sore throat, earache, headache, head lice, yeast problems, swollen breasts, venereal dis-ease problems, acne, athletes foot, toenail fungus, etc. So versatile keep Oil of Cajeput in the medicine cabinet, 4 oz will last you a long, long time. Yeast, Parasites both forms (blood and tissue)and eggs, Bowel Cleanse and Blood / Organ Purifier. The die off of parasites, worms and yeast (yes a living organism) causes all kinds of not so nice symptoms. Very uncomfortable unless you help your toxic system purge. The process is called reverse healing by some and or lysing effect. It is very necessary part of any cleanse you do but even more so for this type of parasitic/yeast cleanse. These are very handy to have available as they can help with other woe's such as food poisoning, and bowel back up such as constipation and diarrhea. Flu starts in the gut. Take a tablespoon of CCEW below and nip it on first symptoms. Ideal products. C.C.E.-W (Cleansing Corrective Extract) - BASIS FOR ALL NUTRITIONAL PROGRAMS; cleans blood, bowel, nerves and repairs them. It is a life extender. C.C.E.-W is an antibiotic, a poison antidote, and an outright corrective for numerous common and many baffling types of conditions. Its antibiotic activity is excellent. Poison antidote for bee stings and insects. Take internally and apply externally, as needed. For severe itching conditions, such as chicken pox, paint C.C. E.-W on the areas with a Q-Tip or Cotton Bud to relieve the torment. Also, take for allergic reactions. For emergencies, or in a crisis condition, ½ ounce (1 standard measure Tablespoonful) can be taken at once. If flu is threatening, take 1 Tbl. to prevent it or if it is in full progress, take 1 Tbl. full every four hours, while awake, until the symptoms go away and stay away and get through the flu in record time. It would be unusual to have to take C.C. E.-W more than 3 times in one day. Many times, in the early stages of a flu, 1 Tbl. will just wipe it out. If needed to counteract a persistent threat, take 1 Tbl., or more, until the flu no longer threatens. If a baby or small child objects to the taste, or if the person is bedridden and cannot take by mouth, then rub in sufficient quantity to cover the entire abdomen instead of taking internally. Please Note: you will clean out large quantities of solid and liquid wastes, rapidly, which are the cause of the flu. Every time you flush these wastes away you can see what was tormenting the body and causing the flu. C.C.E.-W is also an excellent daily regimen to keep the body clean and avoid many kinds of problems. C.C.E.-W is normally taken daily, such as each night, as part of a bowel maintenance program. Take (mercifully in juice) each evening in sufficient quantity to produce at least 2, and preferably 3, bowel movements per day. This may not be a "civilized" idea, but is a good health idea and "good habit". In so called primitive societies, where there are an abundance of natural foods and fiber, there are (on an average) 3 bowel movements per 24 hrs. In these societies, they simply do not have many of the "dis-eases" we suffer from in modern "civilized society": the hemorrhoids, the skin conditions, hypertension, the allergies, the etc., etc., etc.. They don't even have names for them. The concept here is, when you put something into the body, then you should evacuate something so the wastes do not back up and cause a breeding ground for putrefaction and "dis-eases". By observation of healthy functioning systems, such as with a new born baby (unpolluted by junk food), if you feed the baby, then be prepared to diaper at the same time, or if you feed the dog (unless you feed him the same kind of food you are eating) then you must be prepared to walk the dog. If there are 3 meals per day then we want 3 bowel movements per day. Then, most of the hysterectomies, prostate operations, yeast miseries, bowel cancers, eczema, psoriasis, parasite problems and fully 1/3 of all the "dis-eases" listed in medical books can be avoided. Remember here, the time honored wisdom: "Miseries missed are blessings received too". NOTE: There are many types of cleansing corrective combinations around. This is one of the most common and best. COMBINATION: Aloe, Angelica, Camphor, Carline Thistle, Manna, Myrrh, Rhubarb Root, Saffron, Senna, Theriac, Zedoary. DOSE: 10 to 80 drops each evening. For more involved conditions, up to 1 Tbl., as necessary, to obtain desired activity, for as long as necessary. If you need it, you need it. For a complete bowel maintenance program, take 4 to 6 capsules of Psyllium and 4 to 6 capsules of Alfalfa. Psyllium acts as a lubricating, internal exercising bulk and the Alfalfa as a deodorizing "scrub brush". Be sure to take a large glass of water with the Psyllium so it can do its job and so it does not gum up. For all other uses: use as given above. Each kit offered is a combination of the below individual tincture's. Parasite Yeast Cleansing Kit's You will receive instrutions on each product on how to take and if you buy a kit and commit to the three months to clear this up you will receive ongoing email support and one 20 minute phone call consult per month. For an additional $30 per month you can receive telephone consults up to 4 per month. That is a huge savings and having a professional helping you is the way most of my clients like to go. Get a quick answer to basic supplement suggestions not a full consultation, you need some guidance this will save you time and money. Include your first name and email address in notes section. One kit is a 28 day cleanse cycle. The number one reason cleansing fails is not doing it long enough. Read the article on the gestation cycle of parasites and yeast. got 'em for sure. What do you want? A maybe or a for sure? 6 months to pay, no interest to qualified buyers. 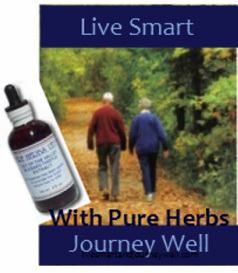 Product Information Sheets with dosages and full dissertations on each remedy under individual tincture for download. Testimonials of usage which are valuable in how others gained their results. Use these to read more about these remedies when you purchase or to make your decision. Is for the elimination of worms and parasites of all kinds. This very widely used and enjoyed formula has taken on, and bested, parasites that aren't even listed in books yet, as well as those that are. This is a full spectrum approach to clearing the body area of all types of vermin. By incorporating the many-sided approach of the combination of Mugwort & Wormseed (SEE: Mugwort & Wormseed), and adding the other time-honored allies, Pumpkin Seed, Black Walnut, Male Fern and Cascara Sagrada, we have widened the approach and mechanisms of killing and elimination of any parasites, thus making their escape virtually impossible. Because it has been observed and demonstrated that parasites can and do occur in just about any body part, including any of the organs, glands, blood and other circulatory fluids, muscles, brain and nervous system, a wide-spread approach in types of herbs that disable and kill parasites proves to be a very sensible choice. Pumpkin Seed is gentle and sure in the war against pinworms. Black Walnut has an added benefit of also gravitating to the nervous system to root out and terminate irritating and persistent vermin. It is slower than some other herbs, but very gentle and thorough. Male Fern Root specializes in the eradication of the tapeworm. Cascara Sagrada expels the degenerating dead parasites and prevents self-poisoning from the poisons they produce. COMBINATION: Mugwort, Male Fern Root, Pumpkin Seed, Black Walnut Hulls, Cascara Sagrada. DOSE: 80 drops to 1 Tbl. each evening until free of torment. NOTE TO NURSING MOTHERS: This herbal remedy knows what to do and what not to do -- so there should be no problem with baby's or mother's health. About taste to the milk: That is a little different. It depends greatly, of course, on baby. Some little ones are very sensitive to any kind of change in taste. It might be best to have some goat's milk standing by in case you need to use it. Goat's milk and mother's milk are quite similar nutritionally. It is recommended for babies that would or could not take mother's milk. kills parasites of all types,including worms(Mugwort, Male Fern Root, Pumpkin Seed, Black Walnut Hulls, Cascara Sagrada). Candida formula from Solomon Wickey; severe yeast infections. 4 oz. This unique combination was designed and formulated by the much-loved and admired Amish Herbal Practitioner, Solomon Wickey. This is for severe cases of Candida and other persistent yeast infections. Part of Solomon's wisdom in choosing two of the herbs in this combination was to observe Nature and note which plants can and do live in dark and moist or wet environments and never have problems with a fungus infection such as yeasts. The roots of Purple Loosestrife (loves to be near or in water) and the White Pond Lily fill these requirements exactly and lend their strength to us for protection against yeast and other fungus infections. The indiscriminate use of antibiotic treatments, which are in reality yeasts themselves, do kill bacteria, but, at the same time, encourage the growth of fellow yeasts and other types of fungus. Often, normal yeasts associated with the body, such as candida, are pushed to an overgrowth type of situation by the use of antibiotics and cause an even worse problem. Yeast infections can be sexually transmitted and traded back and forth between sexual partners. This must be guarded against while a person is using CAN-SOL. Also, avoid vinegar, beer and wines. Some natural sweets such as fruit juices and fruits can be enjoyed, by some, during this time. Do use a bowel program that produces at least 2, and preferably 3, easy and complete evacuations per day to clean out the area in which yeasts can house and use as a base of operations from which they can continue to invade the rest of the body. It may also be necessary to eat only organically-raised meats, as commercially raised farm animals are often routinely fed antibiotics in their food and passed on to us. 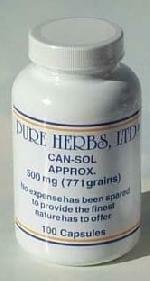 CAN-SOL does offer a welcomed solution and relief to this modern scourge of stubborn yeast infections. DOSAGE: 80 drops three times per day. Do not be alarmed if cleansing discharges occur; persist and rejoice! along with three Acidophilus each time the Can-Sol is taken. Must be taken in conjunction with CCE-W and very helpful is BP-W and if one has never done a worm and parasite cleanse W.W.
April 2003 Testimonial: "I am happy to say Solomon Wickey's Can-Sol capsules really worked for my candida (yeast infection). I had a bad dose of it under my breasts. It was extremely itchy and it would bleed and crack open. It was very painful. When I received the pamphlet on the Can-Sol capsules, I decided to give them a try. I'm happy to report that the candida is almost completely gone. What I used was Can-Sol capsules six twice per day along with three Acidophilus each time the Can-Sol was taken. It works! S.M. Due West, S.C.
(Greasewood, Purple Loosestrife, White Pond Lily). Cartilage repair, hormone manufacturer, manganese, wrinkle control. Blood break down, blood parasites, fluid in cells collapsing, cellular collapse, baffling disorder usually onset older age. Testimonial May 2004: "Recently I was performing heavy labor that I was not accustomed to. I acquired various bruises and swelling of my joints. Especially, in my wrists and knees. My whole body hurt. In the past, I had used CCE externally to various skin problems and for joint pain. This time, however, due to the muscle aches, the bruising and the swelling, I added Arnica extract. My knees were very swollen and in pain. The Arnica is truly a gift from above! Within a few hours, the swelling and pain was gone from my knees! I am truly astonished at the rapid results. I simply applied CCE to the entire joint area followed by the Arnica extract. Who needs pharmaceuticals when we have Pure Herbs! Your herbs are superior!" -- With sincere thanks. Carol Ray, Indianapolis, IN. Testimonial May 2004: "I would like to share with you my pain and more pain, and the great help I received from using Pure Herbs products. I was injured when I was a young man, while learning the fine art of kick boxing and Taekwondo. After three years of training and fighting in tournaments I received several injuries to my groin area. As the years passed, I had a harder time urinating, it would take forever to empty my bladder and it was very painful. After many trips to see my doctor and many tests, they found I had a blockage in the urinary tract. They gave me a #10 catheter, which I had to insert so I could urinate. It did not take very long using the catheter that everything that it touched was very sore and bleeding. I went to the doctor's office a few more times to see if there was anything that could be done about the blockage. My doctor said there was only one way to correct my problem and that was to surgically make a new drainage incision between my legs and disconnect the male organ. This did not set well with me or my wife. I started talking with Hope about my problem. URW: 40 drops twice a day for six months. Then decrease to 40 drops once a day for four months. Then stay at 40 drops for an additional three months. RST: 20 drops twice a day for six months. Then decrease to ten drops once a day for four months. Then stay at 10 drops for an additional three months. P-W: 40-80 drops three times a day for six months. Then decrease to 40 drops twice a day for four months. Then stay at 40 drops once a day for an additional three months. CCE: 40 drops twice a day for six months. Then decrease to 20 drops each evening for four months. Then stay at 40 drops each evening for an additional three months. October 6, 2004 "A couple of weeks ago I was in bed with a fever of 103 and my body ached all over. I also had a sore throat and saw the familiar white infection around my tonsils and knew it was strep. I could not even get out of bed to drive to the doctor's office. It was then that it dawned on me that I had C.C.E.-W on hand. I remembered it was an antibiotic. I took 80 drops every two hours (to start) and slowly tapered off to 40 drops over a period of time. I'm very happy to say, the fever was gone and the white blotches disappeared within 24 hours! I also decided to add Irish Moss to my mixture since it is an internal cleanser. I'll never bother with prescription antibiotics and their side effects again!!! Thanks so much Pure Herbs! I have had other great experiences with my children's sore throats using C.C.E.-W and covering the area with a warm, wet cloth. It lifted the pain and infection right out. One more testimony. I work with small animal rescue and had some mice who had MITES. They had bald spots with itching, bleeding and cracking skin. I could not stand to see them suffer, so I played "herbal doctor". I asked the Lord what to do and I was instructed to first break open Vitamin E capsules (for oxygenation), mix in Jewel Weed (for itching), S.I.-W for the skin lesions, Oil of Cajeput and Garlic and Mullein Oil. I mixed these together into a salve and applied it with a cotton swab to the poor little guy's wounds (of course, they licked much of it off, but none of it was harmful if swallowed. To seal the deal, I put drops of Mugwort and Wormseed in their water for a couple weeks. These old mice are healthy, fat and happy now! Absolutely NO signs of mites, scratching or bleeding! It felt GREAT to be able to help the helpless! The Mugwort and Wormseed is great for Guinea Pigs as well. They get mites from bad batches of hay and litter. God is not only good...He's GREAT! Thanks for doing His work, Pure Herbs!! "On a side note I would like to mention some interesting information I came across in Chemical Engineering News in 1988. 'Each year in the U.S., 80,000 tons of hydrofluosilicic acid, 60,000 tons of sodium silicofluoride and 3,000 tons of sodium fluorides are put into public water supplies.' (Chemical Engineering News, Volume 66, Aug. 1, 1988, pg. 39) 'All of these fluoride chemicals are by-products of the aluminum and chemical fertilization industries and are considered to be hazardous wastes by the EPA. The scientific assessment of the health risks of fluoride, in 1985, omits 90% of the literature which suggests fluoride is a mutagen which can cause cellular and genetic mutation.' The articles researcher said, 'My dental health increased drastically when I quit using fluoride' and in an article from last September he also states, 'Our bodies are accumulating large amounts of aluminum.' Let's use the herbs to assist the body in removing aluminum (absorbed through such things as bath water and cooking) and poisons. Here is a list of some genuine aluminum flushers and poison annihilators: For aluminum: Horsetail, Bladderwrack, A.C.S., Chlorella, and H.M.E.-H (heavy metal elimination). For poisons: C.C.E.-W, Virginia Snake Root, and Black Cohosh. Don't overlook the blood cleaners and purifiers such as, Spring Greens, Red Clover, B.P.-W, B.C.-W, and P.C.-C"
Sept 12, 2006: ”I would like to share with you the herbs I used while I was pregnant with my baby boy. Daily, I took Crampbark and False Unicorn along with Partridge Berry to help strengthen the uterus and also for any cramping I experienced. As soon as I felt the on-set of cramping I took these herbs (1/2-1 tsp) and within about 1/2 hour the cramping stopped. I also took Vitamin E (four capsules/day), A.C.S. (for mineral supplementation), Nettle (for calcium supplementation) and C.C.E. in small amounts (for the bowels). When I was about six months into my pregnancy I became very sick so I took L.A.S.-JB (4-5 capsules every hour) and 1000 mg of Vitamin C (every other hour). The L.A.S.-JB cleared my sinuses and lungs and I felt so much better. Testimonial from Merlin Ludwig, Portland, Oregon, September 2002: ?After years of suffering with ankle pain from sports injuries, I was scheduled for ankle fusion surgery. Since there were no successful results from former individuals who had this surgery done, I decided to cancel the procedure. I found out about an athletic injury therapist, Rawle Morris in Beaverton, Oregon (Back in Motion). Rawle inspected my ankles and found them to be the worst ankles he?d ever seen. He began therapy on them and had me run Big Five and Arnica. He also told me I could take CCE-W, CA-W, Capsicum, ACS and Grape Seed for a maintenance program. I did as he advised and after six months much of the pain is gone from my more painful ankle (the right one). We are now working on my left ankle which is realigning and causing pain. I know this is a somewhat long process, but I know with time I will be able to walk again without excruciating pain. 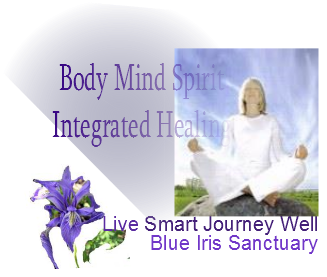 Rawle Morris is a fantastic friend and therapist and Pure Herbs are also my friends!? June 2003: "My daughter and son-in-law were so sick with the flu that they called my husband and me at 10:30 pm to drive the half hour to their house to take them to the hospital even though they know we both work and were already in bed. They felt awful; loose bowels, dizziness and they couldn't even keep fluids down. We were exposed that night and I took off the next day to go stay with them to take care of my four month old grandson. My husband and I took one Tablespoon of CCE-W once a day for one week. Praise the Lord and Pure Herbs; neither one of us got even a touch of the flu." -- MC, Beech Grove, IN 317-783-3238. Testimonial May 2004: "Recently I was performing heavy labor that I was not accustomed to. I acquired various bruises and swelling of my joints. Especially, in my wrists and knees. My whole body hurt. In the past, I had used CCE externally to various skin problems and for joint pain. This time, however, due to the muscle aches, the bruising and the swelling, I added Arnica extract. My knees were very swollen and in pain. The Arnica is truly a gift from above! Within a few hours, the swelling and pain was gone from my knees! I am truly astonished at the rapid results. I simply applied CCE to the entire joint area followed by the Arnica extract. Who needs pharmaceuticals when we have Pure Herbs! Your herbs are superior!" -- With sincere thanks.